Rupert Murdoch’s monopoly pay TV business has managed to wipe out the $2 billion it makes from its subscribers each year by paying “management fees” to another associated entity. Foxtel’s financial statements show the company made revenues of $1.93 billion last year and paid $1.92 billion in management fees. That left a profit of $7.8 million but, instead of paying tax, the company rewarded itself with an income tax benefit of $669,000. In a typically shoddy effort by auditor EY, directors did not bother reporting a cash-flow statement with their financials nor did they bother to comply with the new laws which require large companies to file General Purpose financial statements. Rupert Murdoch’s News Limited was identified as Australia’s “number one tax risk” before a Senate inquiry in 2015. 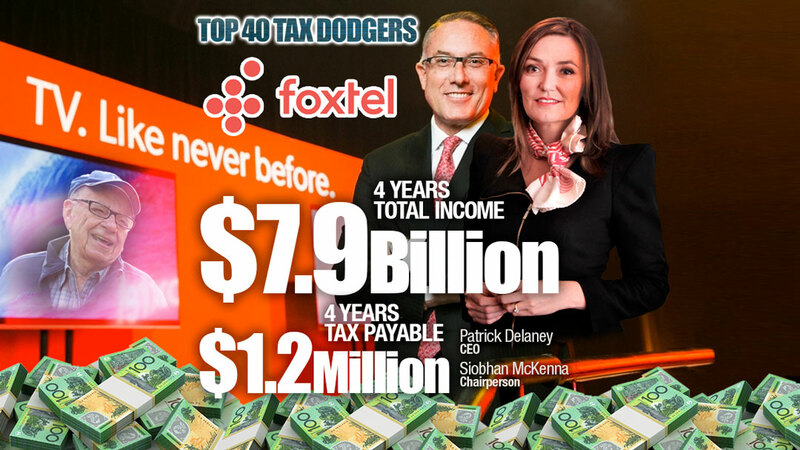 There is no sign of the government’s $30 million grant to Foxtel in the accounts of this particular Foxtel entity.